First showcased at the NAMM show in the beginning of this year, the Sub Phatty places a maximum number of commands in the hands of its user while, at the same time, reducing the overall footprint. A winning formula? First introduced in 2006, the Little Phatty was the first affordable Moog from the new era in which Bob Moog had once again left his mark of genius, before leaving us. 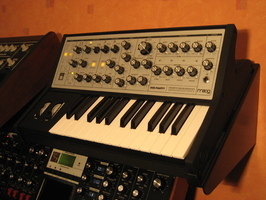 With its two continuous variable wave oscillators and its multiple poles low pass filter, it allowed numerous musicians to purchase a Moog without taking out a ten years loan. It was then transformed into the Slim Phatty, a well thought out rack unit, preserving all the technical characteristics of the keyboard version. The drawbacks to the Phatty series were its reduced number of commands, limited modulation and an unsurprising concept which basically left it to the classic bass sounds and leads that everyone expected from Moog. But for the past few years the MOOG has not been the only game in town when it comes to monophonic analog synths : DSI is still as pertinent as ever (going on 10 years now), with Arturia just around the corner and Korg having just made its analog come-back with the Mini MS20. The Sub Phatty is entering the market place where it’s most vulnerable: innovation and modulation. Is it enough? The Sub Phatty is a squat little thing. 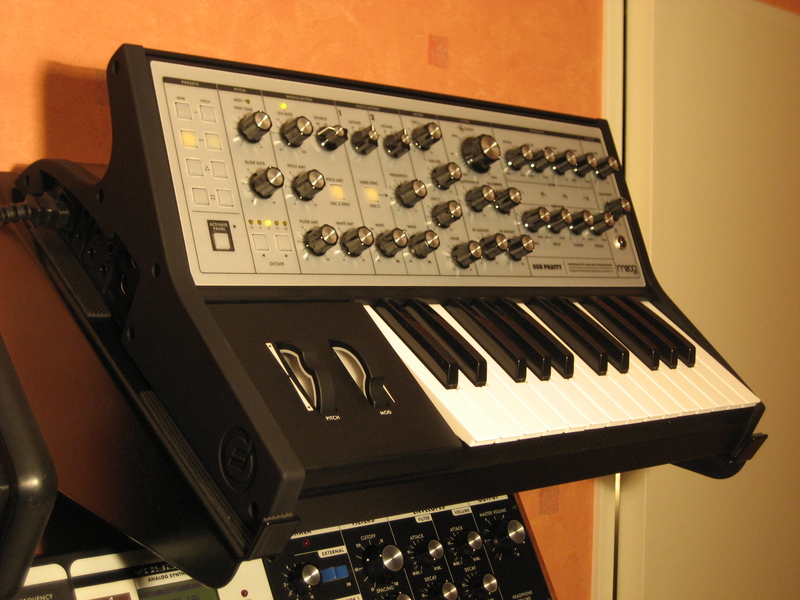 It owes its shape in part to its big brother and to its designer’s choice to limit the keyboard to two octaves, much like the MiniBrute from Arturia. As for its looks, you either like it or you don’t. Its slanted front is a nice touch but the overall size makes it less transportable that you would think. As much as we thought this to be a nice touch on the MiniBrute, it’s up for discussion on the Sub Phatty. The packaging is organized with its black pocket manual, warranty, product range guide, puzzle (for children education) and a Moog bumper sticker. Construction is irreproachable, with an imitation brushed aluminum polymer coated metal face and an arched metallic back. Commands are abundant here, with no less than 28 knobs (with an unmistakably large one for filter cutoff), 3 multi-position selectors and 13 buttons (some of them with lights) spread out over the entire face. Playing with the knobs is a pleasure. They are sturdy and resistant. Layout comes off without a hitch : to the left we find the Presets with two rows of 4 buttons for program selection and a button for manual mode switching (Panel). The Pitch control section comes next with fine tune, glide (linear constant time, linear with constant or exponential speed) and transpose +/- 2 octaves. On the right we find the Modulation section dedicated to the LFO and its destinations (pitch, wave, filter). Then we have the Oscillators, Mixer, Filter, Envelopes and Output sections, with separate headphone volume knob. The headphone jack, 6.35 mm , is situated below the volume knob. The Sub Phatty is almost ergonomically perfect. One function, one button (or knob). There are some hidden system and parameters doubling up buttons and knobs functions. These parameters are accessible through Shift mode (combination of 2 buttons), then, by combining some of the buttons in the two rows situated on the left, you can edit the hidden parameters using knobs or a combination of keys on the keyboard itself. One problem : these secondary functions have no indications on the front panel. What were they thinking?! 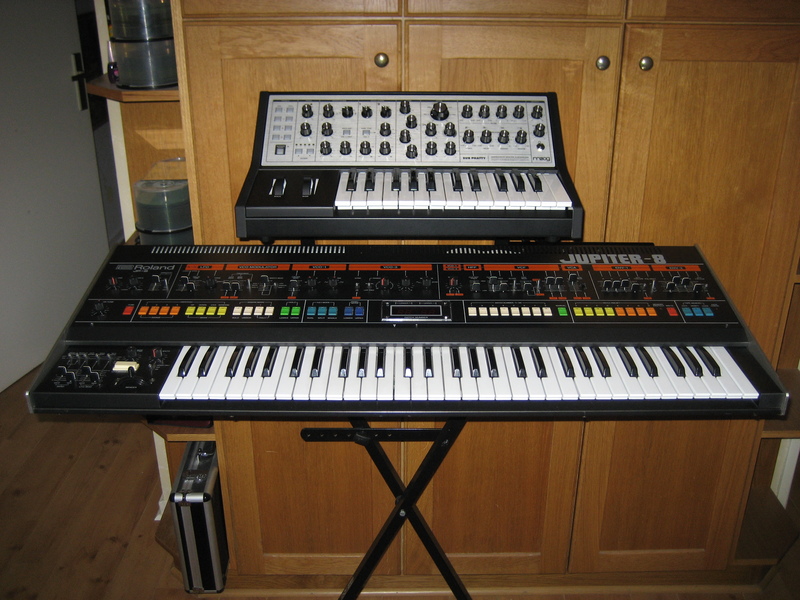 It would have been simpler to implement a “Page 2” like the latest Oberheim OB-8. 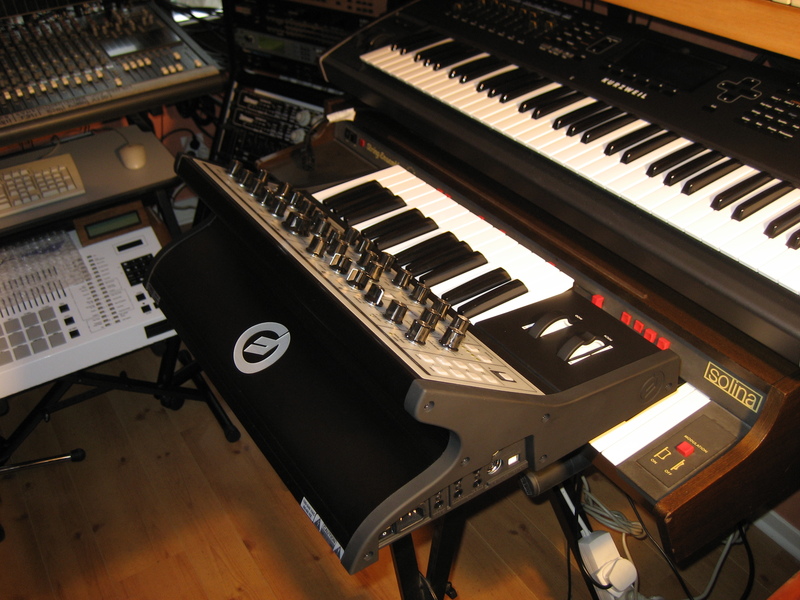 The two traditional pitch and modulation wheels (no backlights) are situated on the left side which is pretty large considering the small keyboard which is only velocity sensitive, with no after pressure. Small but with sufficient quality. 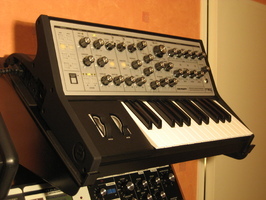 As with the LP, all the connections are housed within a notch on the left panel: 3 prongs plug for power cord, mono audio output, mono audio input for external sound processing inserted before filter (gate must be triggered for sound to be heard), Gate in, pitch, filter and volume CVs, Midi In/Out, USB (Midi over USB only). All the audio and CV jacks are 6,35 mm. Too bad that Moog didn’t foresee optional connections like the LP, especially the CV-Gate Out so desirable in the analog world. The Sub Phatty's oscillators are stable in less than 60 seconds. Excellent news for a VCO synth! The machine is delivered with 16 factory rewritable programs accessible from the front panel, which seems a bit meager for an entire performance, especially if you have to quickly change presets between songs. The knobs function in jump/level/relative modes. Of course, a Panel mode allows you to use direct commands in their physical position just like a pure analog synth, even if the commands themselves are digital. That being said, the resolution is high enough to make sure you hear no quantization, everything sounds perfectly smooth. From the first note, the Sub Phatty is just that : PHATT! 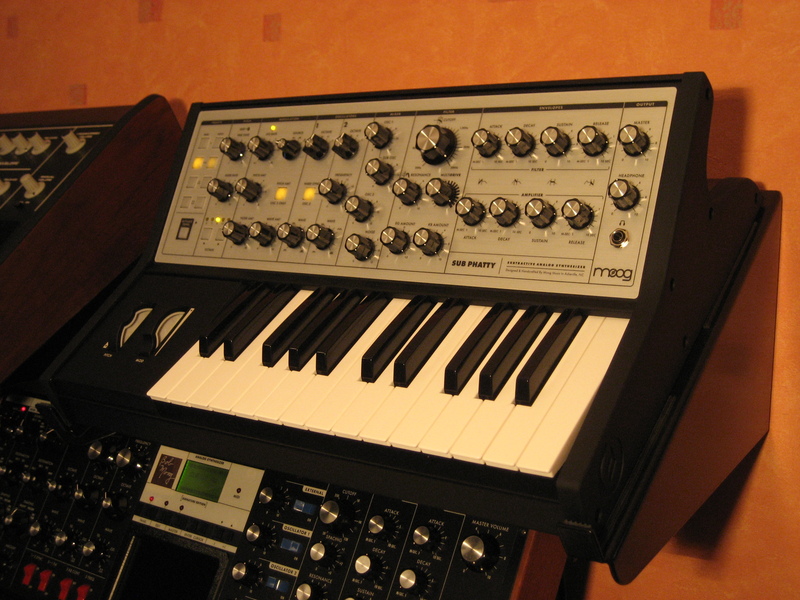 Something has changed in the modern Moog sound. The sub-oscillator gives it an unbelievable bass depth. The Multidrive brings pleasant saturation to the sound palette which can majestically twist in the highest ranges. Thanks to the numerous knobs, your favorite sounds are quickly fabricated. Typical Moog basses or provocative leads can be “twisted” with the filter and drive. With Sync, you can vary the pitch from a single VCO to create impressive sweeps, for example with the filter envelope, which can be injected into the modulation bus in the place of LFO. 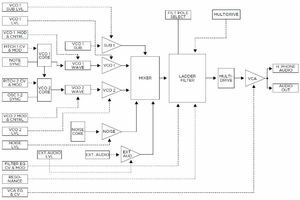 You can also assign it to continuous waveform modulation from the VCO, reminding us of a Kobol in PWM position. Pink noise has some real depth, which allows the little Moog to shine in creating wind-and-storm like athmospheres or beautiful percussive sounds, better than the smoother sounds white noise would make, such as whisper winds, hisses and light spring breezes. You quickly find out that the Sub Phatty is going to take you to great places. As always, everything starts with the oscillator section. The Sub Phatty has two VCOs, whose frequency is set in air or steam organ pipe length from 2’ to 16’, straight from the front panel. All waveform are continuously variable, progressively ranging from triangle to sawtooth to square and finally to pulse for each oscillator. The second VCO can be detuned in relation to the VCO1, over +/- 7 semi tones (Detune) or +/- 3,5Hz (Beat, hidden function). Phase can be synchronized to VCO1 (Hard Sync). This enriches the harmonic content of VCO2. Oscillator cycle can be forced on each note trigger (hidden function). Each oscillator can then be mixed before attacking the filter. The mixing stage also includes an external signal, a sub-oscillator (new for Moog Music), and a noise generator (new for Phatty). The sub-oscillator is a simple square wave one octave below the VCO1. We can’t say that the manufacturer went all out for its first sub-oscillator equipped synthesizer! The noise generator does only pink noise, mixed in with everything else with no frills. We would like to have seen a white noise generator. Above the halfway mark, the source level overruns unity gain, generating a very slight, warm filter saturation which is more noticeable than into other recent Moog products. The mixed signal then hits the VCF featuring the classic Moog 4-poles low pass transistor-ladder filter. As with the other Phatty’s, pole numbers are programmable from 1 to 4 (hidden function). Cutoff frequency ranges from 20Hz to 20 kHz and the resonance is capable of self-oscillation. Nothing new here. Luckily, the designers had the idea of adding a distortion function, baptized Multidrive, to bring in some flair. You can create, using a dedicated front panel knob, several more or less radical saturations: from a warm asymmetric tube type to a death metal trash, head banger type, all in a progressive manner. The results depend on oscillator waveform, filter input level, and resonance. Filter frequency can be modulated per envelope amount (bipolar quantity) and keyboard tracking follows up to 200%. The Sub Phatty has 2 DAHDSR envelopes assigned to VCF and VCA. Time settings varies from 1ms to 10 seconds. The Delay and Hold parameters are accessible via hidden functions. 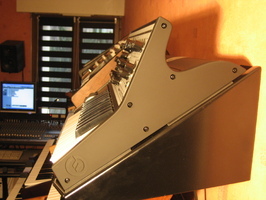 When you play legato, you can decide to (or not) let the envelope curve follow (the Release part), as with the Minimoog. These envelopes are extremely rapid, which allows the Sub Phatty to synthesize analog percussion with no difficulty and achieve “sharp” sounds in general. Velocity can be assigned to the quantity of modulation in the envelopes and to their Decay / Release. To modulate the signal you can also use an LFO whose frequency ranges from 0,01Hz to 1 kHz (3 stages of adjustment are selectable through a hidden function, per 10 Hz increments). They can follow the keyboard (long live digital!) or be synchronized with a midi clock time division. Available waveforms are: triangle, square, saw tooth, the ramp and the random generator. The LFO cycle can be forced to retrigger on each key press (hidden function). Very nice, you can replace the LFO modulation with filter envelope! Well done! 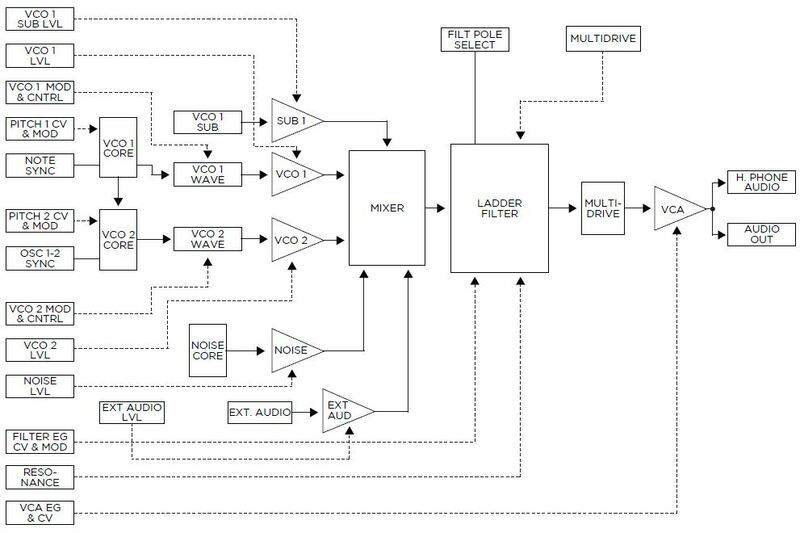 The LFO or filter envelopes are assignable to pitch (2 VCOs or VCO2 only – useful when the VCOs are synchronized), to filter cutoff and waveform (one or both VCOs). The modulation wheel controls quantity. Only one bus for modulation. Yikes ! Deception. You loose the arpeggiator that was available on the old Phatty. Too bad! The Sub Phatty has Midi and USB I/Os. All front panel commands send Midi CC / NRPN, with a choice of 7 or 14 bit resolution. 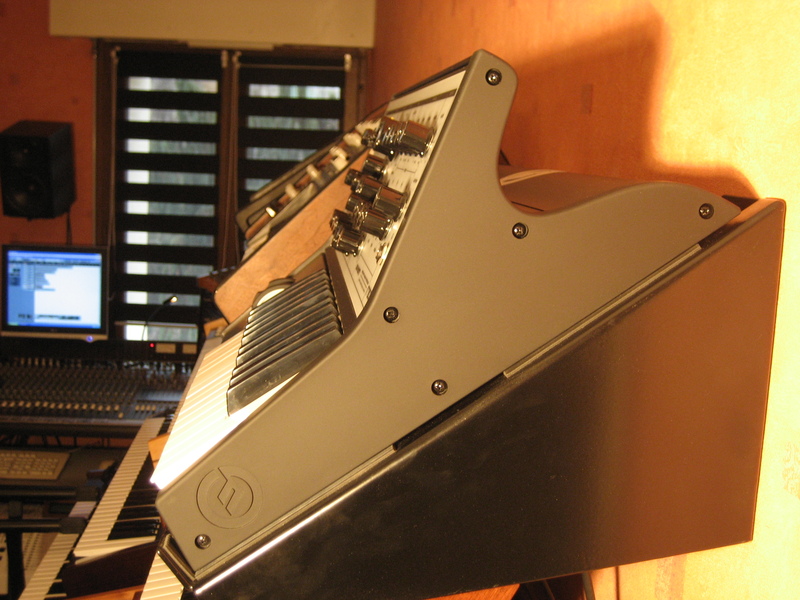 This allows for perfectly fluid synthesis parameter automation. Memory contents can be sent/received via Midi, which is better than on the Minitaur which requires an external command to send this type of information. A free external editor is in development, which will allow for direct editing of all functions available and memory management. Moog Music refused to give us any more precision before test publication date, (it seems we are a bit ahead of the rest of the world press on this item), but let‘s just say that the editor is purported to be PC / Mac compatible and exist in standalone and VST versions. The Sub Phatty is an excellent proposition : it is magnificently built, proposes many direct commands, memory, the genuine Moog sound plus new sound colors, thanks to the mix level that lets you saturate the filter, the sub-oscillator which reinforces bass and to the analog distortion which goes from hot to out of sight. Too bad the hidden parameters are not indicated somewhere, because creating a sound on the Sub Phatty is pure pleasure, as long as you don’t need special commands that require a photographic memory to find the parameters. 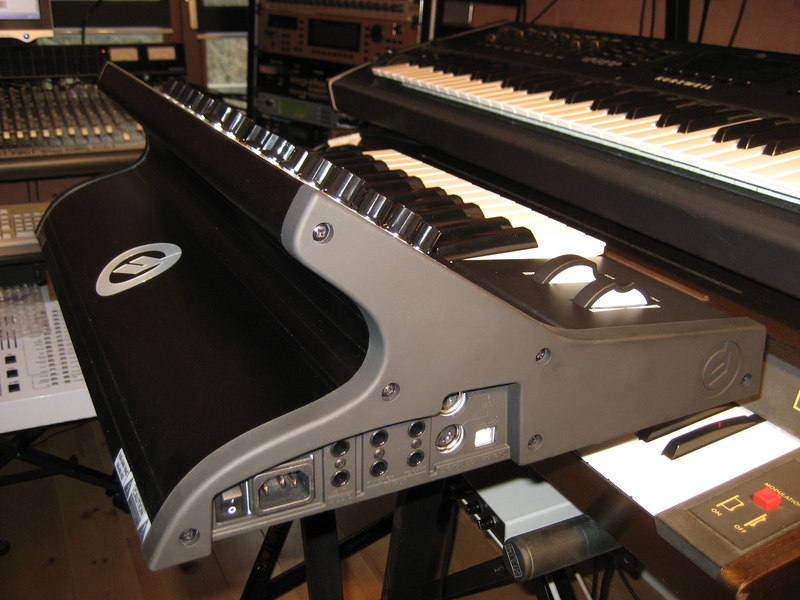 If you’re a virtuoso keyboard player, you’re probably asking yourself, “why a 2 octave keyboard”? When can we expect an XL version with all direct commands and a wider keyboard? While you’re waiting for this possibility, here is a very nice instrument at an affordable price and that will seduce Moog lovers everywhere, whether on stage or in the studio. Generous commands, a real pleasure!